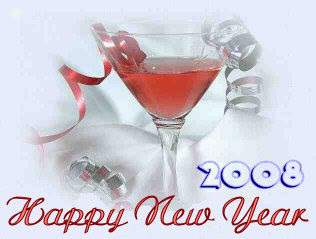 Here is hoping for a great 2008. I will be going down to the YMCA tomorrow and signing up again. Last fall, I let my membership go after my PayPal debit card was stolen. On January 1st, the sign up fee is only $20.08 and the first month is also $20.08. Sure beats the usual $85 sign up fee. That is as close as I come to New Year Resolutions. One of the best SNL Christmas skits....if not best ever. Happy Holidays and enjoy some NPR's Delicious Dish and Schweddy Balls. Great parody of Brokeback Mountain, going where no man has gone before. Well, maybe a few have gone there. Enjoy.